The Office of University Communications represents Howard University at its best. Our team of talented writers, designers, photographers and communications specialists presents Howard University to the world. We write about students, faculty, staff and alumni, showcasing innovating programs, research and events. We also provide important media resources, including press releases, historical information, fact sheets and contact information for our faculty experts. If you have a story to share or a question to ask Howard, please contact us. We look forward to hearing from you. The Office of University Communications provides communications and marketing services for Howard University’s academic and administrative units. To this end, we produce and manage several publications and Web properties that students, faculty and administrators may also utilize as appropriate to publicize news, events and other information of general interest to the greater Howard community. 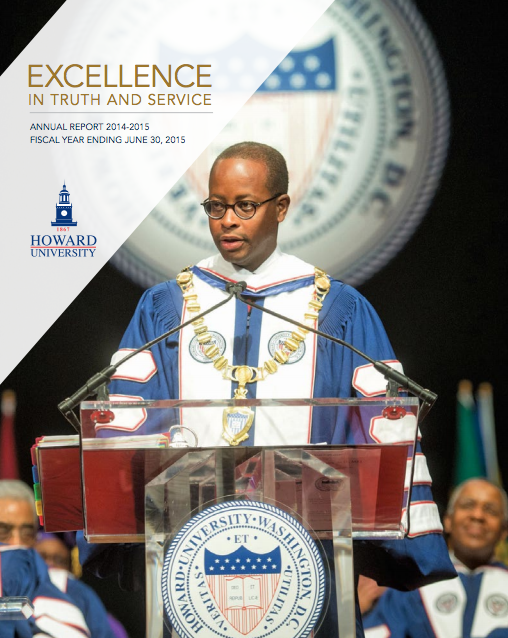 Howard Magazine is an award-winning publication that reflects the heart and soul of Howard University. The magazine examines the legacy of Howard University and the strides that alumni have made in every profession. It also highlights the university’s unyielding commitment to prepare some of the nation’s brightest minds to meet the challenges of an increasingly competitive and global society. Every issue includes profiles of alumni who are excelling in their professions, faculty and staff who are engaged in research and scholarship and future leaders who are seeking innovative solutions to global issues. 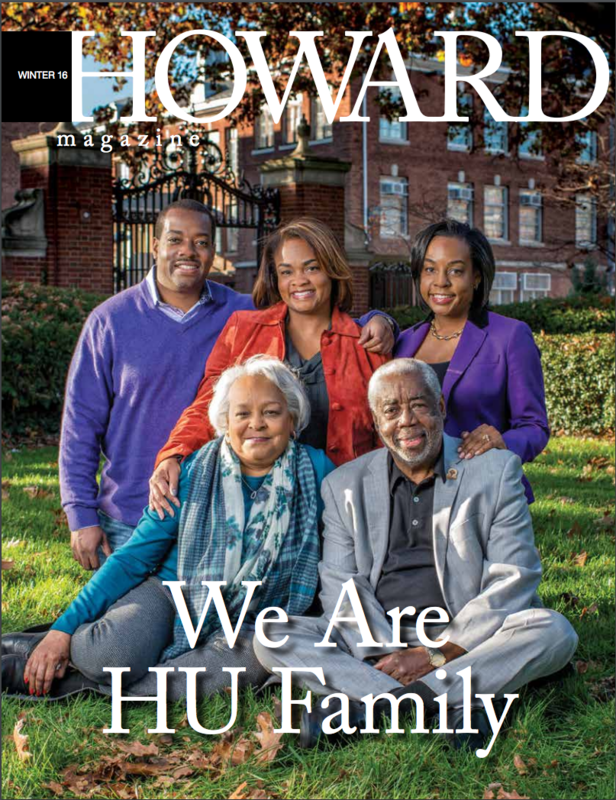 With a print circulation of 85,000, Howard Magazine is published three times a year and distributed to: Howard University alumni, faculty, staff and students; legislators; corporate partners; foundations; and private donors. Howard's Annual Report is a wonderful way for you to acquaint, or reacquaint yourself, with the university, celebrate its accomplishments, and learn about the truly special students and faculty that make this institution a national treasure. The report will provide you with a comprehensive overview of the academic and fiscal year including, information on our latest accomplishments in academics and service, data about our enrollment and operating performance, and highlights of gifts in action. The OUC is responsible for media relations and is the principle contact for all communications between the University and media representatives, as vested by the Office of the President. The OUC advances the University’s reputation and identity as one of the nation’s most highly regarded universities by providing printed and electronic information to a wide variety of internal and external audiences. The OUC communicates information about the history, research, and activities of the University to the media for the purpose of developing public understanding of the mission of the University and its classification as the only Historically Black College and University to earn the Carnegie Foundation’s highest categorization as a leading research/ doctoral-extensive institution. The office also provides strategic public relations planning and internal, executive and marketing communications for the University in accordance with need and institutional priorities. an individual or University-related activity that ties in directly with breaking news, a major regional, national or world story.